This week’s prompt is: Top Ten Books I’d Frame As Pieces of Art. Oh, my bookish soul is giggling frantically. This topic is just too delicious. I have a serious book cover obsession, peoples. But I will limit myself to ten! I promise! I’m a good little puppy. If it’s a Maggie Stiefvater cover it’s probably gorgeous (have you seen the new cover for Sinner?!) but book #3 of The Raven Cycle just takes the cake. And the cream. AND ALL THE THINGS. It’s gorgeous and I’m in love. I didn’t end up loving this book as much as I wanted to…buuut, we can’t deny that delicious cover. I am so happy to have this on my shelf. You knew I’d sneak these on the list didn’t you? Oh, come on, don’t sigh! They’re not on every list…just, um, most of them. And I have to admit, I’m hyperventilating just a little about Ensnared. Because I don’t want it to be Jeb’s face on the cover but I think it will be… HOW AM I SUPPOSED TO WAIT UNTIL NEXT YEAR TO FIND THIS OUT?! I’m not the world’s biggest fan of this series…but the covers! OH THE COVERS. The whole creepy eyeball thing is really interesting. I have no idea how it relates, actually. But I love them. I own this one, but I haven’t read it yet. I’m kind of scared to read it, really, because I adore the cover. I’ve been coveting this cover all. year. long. And what if it the pages between don’t live up to the awesomeness of the cover?! Speaking of aliens, though, have you seen the cover for book #2, Invaded? Don’t. Just…don’t. What went wrong? That’s all I can ask. I’m a sucker for simple covers, and ohhh, Tiger Lily manages to mix “simple” and “beautiful” together in a mush of orange and black delight. I also like orange. Not prison orange, don’t worry. Just normal orange. These almost always end up on my list too, don’t they? Gosh, I need to expand my bookish horizons. But while we’re here: ADMIRE. Yes, yes, just go ahead and mire the gorgeousness that is the apocalypse. Don’t say shooting for survival isn’t pretty now, okay? Is this not creep-tastic and wonderful? 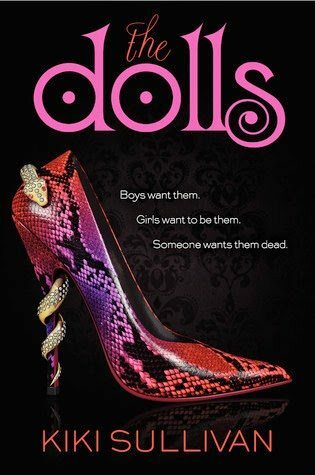 I have no idea why there’s a shoe on the cover and why that relates to “dolls”, but, I LOVE IT. It makes me think of Cruella DeVil. What? It’s my creepy side. You know I have one. There’s something about this cover that screams sadness and electric freakiness and call-the-Winchesters. I literally just got an ARC of this in the mail yesterday and ohhh, my precious thing. I love all things hand-drawn, and there’s just so much happening in this cover. It calls to me. I must read it. Now I know YOU all are perfectly sane and not as cover obsessed as I am. But, if you dare, tell me: out of these 10, which is the BEST? And what is your favourite cover of all? Also link me up to your Top Ten Tuesday post! I’m a little demanding today, I know. Oh, and just a quickie note, our giveaway is still live and blossoming if you’d like to pop over and enter. You could win The Winner’s Curse, actually. So, go! Go! Go! Cait is waiting until she’s filled up her bookshelf and then she’s going to arrange them by colour. Colour coded bookshelves are the best. (Just saying it like it is, okay?) To be honest, she actually hasn’t read a book in over a week. Horrific, right? But she’s nearly finished her current WIP…lots of angst and creepy faeries so far. Survival of characters is dwindling into the single digits. The cover for Tiger Lily is beautiful 🙂 Great picks! I really want to love the covers on the Shatter Me series. But I have eyeball phobia, so they just kind of freak me out!! I've seen Not a Drop to Drink on a few people's lists today. And with good reason – those covers are awesome! I almost put Tigerlily in mine, actually! Very pretty. But the only one we have in common is Splintered. It should be on everyone's TTT, really. I often have similar books every TTT as well. Maybe we both need to expand our bookish horizons. 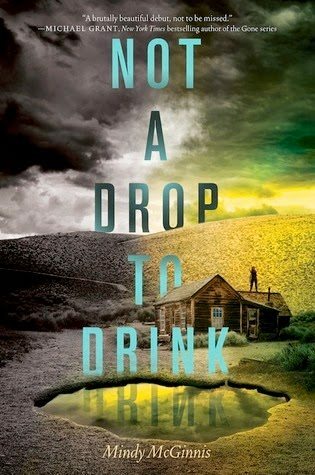 I love ALL these covers but my favourites (apart from Splintered) would be The Minnows and Not a Drop to Drink (which I still haven't read…oops). This week's TTT is so much fun! SPLINTERED IS THE BEST THAT'S WHY. We have epic fairy tale taste. x) So yes…why is that?! I almost always put NADTD on my lists….or The Giver series or The Hunger Games. Haha! I'm TRYING hard to be varied though. >.< The Minnows is just amazing, right?! I'm pretty keen to start it! 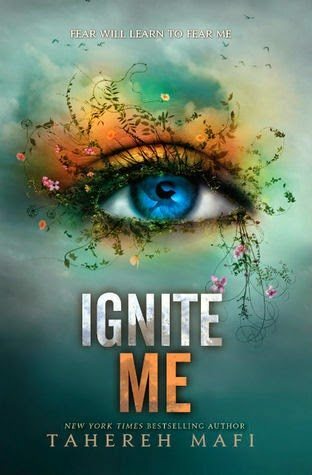 Ignite Me is the best of the 3, I reckon. 😉 Beautiful, right?! I NEED ALL OF THESE IN MY LIFE. ON MY WALLS. ON THE CEILING. EVERYWHERE. Your lists are always just…asdfghjkl, perfect, Cait. SO DO I. PARTICULARLY ON MY CEILING. THAT WOULD BE THE BEST. I wanted to put Tiger Lily on mine, too. And that cover for The Dolls, I saw an ARC of it at conference and went whoa. But if I recall, the premise didn't sound that good to me. Yes, yes, it is freaky and that is why I need it in my life. YES to the posters. Why isn't that a thing yet?!! It should totally be a thing. I was so proud of that one I had to show Mime. x) She sighed at me. I KNOW RIGHT?!! JUST DRINK IN THAT GORGEOUS COVER. IT IS THE BEST OF EVER. I'm about to read book #2 and I'm soooo excited. These books = the best of ever. You really make me want to read all the future – y books where the world is ending and such. You two are the only people I know who can make me want to do this. The world ending is obviously a beautiful thing, right? Those books get the BEST covers. YES LET'S JUST TALK ABOUT IT AAAAALL IN CAPS LOCK BECAUSE THAT'S HOW BEAUTIFUL THEY ARE. I'm mildly in love with them, I'll put it that way. Eeep! I know, right?! 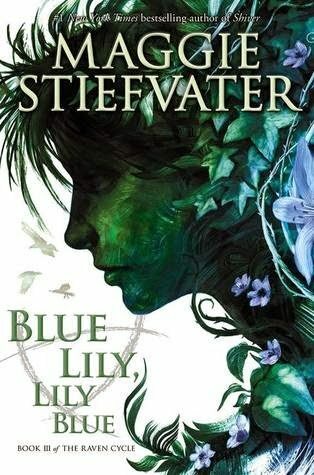 And Blue Lily…afjdaksf I'm still so hopelessly in love with it 'scuse me BRB JUST FANGIRLING. And ohhh, I SEE IT NOW with the Shatter Me series. I hadn't though of it that way. But YES. Totally! *waves* Hiiiii Mary! (Just in case I didn't say it properly before.) Splintered and Unhinged are JUST as good as the covers, I promise you! But yes, I've totally been disappointed by beautiful covers and not-so-beautiful words in between. 😉 I didn't like Ava Lavender but I do so love the gorgeous cover. I can't make choices either. AND WE SHOULDN'T HAVE TO. There are too many beautiful covers that deserve all my love. I'm reading Tiger Lily right now! Mwahahaha, I mock the world with my gorgeous book cover.Everytime I silly the cover for Blue Lily, Lily Blue I get all giggling and excited. And then I get depressed and angry because OMG I HAVE TO WAIT A THOUSAND LIFETIMES. Ohh, what do you think of it so far?!! I gave it 4-stars because I was expecting, well, MORE. But I still absolutely love it. 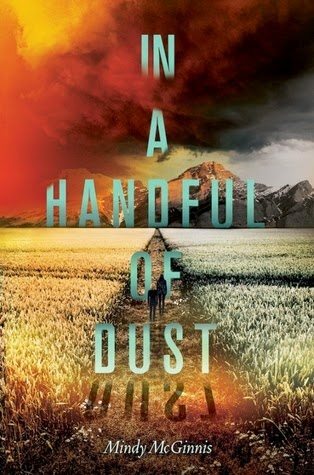 And the cover…*smothers cover in hugs* It is so beautiful I just have to stroke it. Hehe…well each to their own, right?!! Blue Lily has me fangirling hard…seriously! I can't even WAIT until it comes out. I. am. dying. 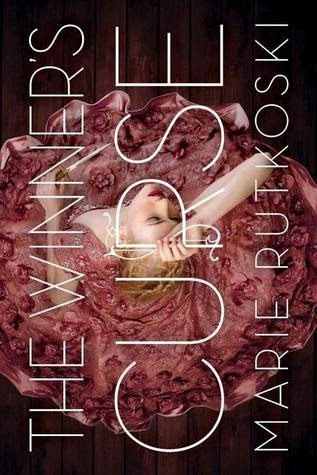 I forgot about The Winner's Curse which I just read this past weekend. It's gorgeous! Also love the Shatter Me series and I love Blue Lily. I was GOING to put it on!! It is truly one of my favourite covers of ever..buuut, I had a feeling it'd be one of the top picks this week so I skipped it. 😉 Devious aren't I? Uhhh whoa, The Minnow cover is amazeballz! I can clearly see your taste in art from this list 🙂 Great picks!! I KNOW RIGHT?!! 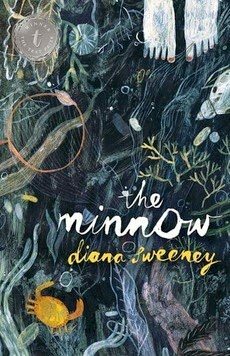 I am so in love with that Minnow cover! 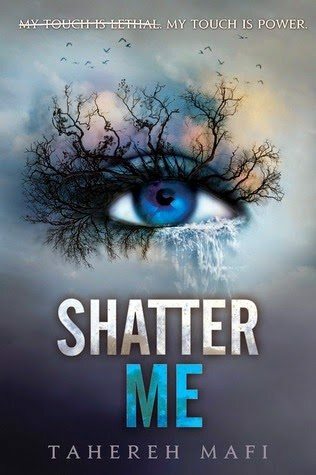 Oh gosh that first Shatter Me cover, with the fearsome tutu?? *gags quietly* It is NOTHING compared to these beauties! x) Thanks for following, Amir! 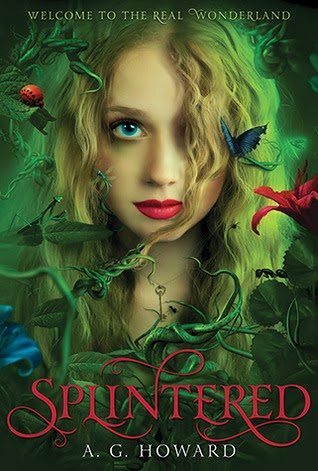 Splintered is just soooo amazing! It's one of my most favourite series of ever now. I can't WAIT until Ensnared is out. :)) So excited for the cover release. I love your covers! Some of them are on my To Be Read list! You know, I didn't even notice there was a difference in the floors…but now that you mention it. OH YEAH. I think I like the blueish one better, too. Haha! 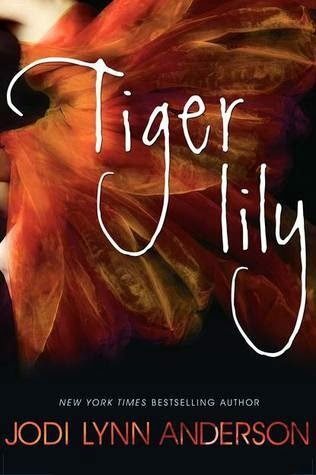 Tiger Lily is just as beautiful as the cover. 😉 SO much love! I actually used to have a color coded bookshelf but TBH it was too troublesome for me to keep it up. :0 I know! As for book covers, I've got to say ooh! I love book covers and those were awesome picks. My favourite of your choices is definitely Splintered and Unhinged. Those covers are brilliant, aren't they? Ten was NOT enough, was it?!! 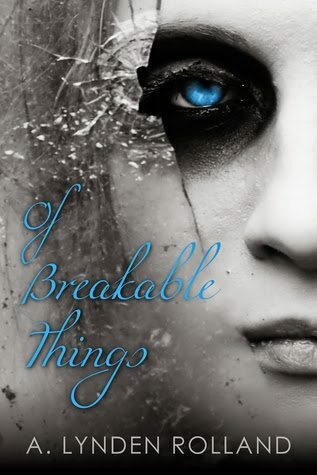 I have SO many awesome covers that I absolutely adore…aaajkfdls! SO MUCH COVER LOVE. I was really close to including Not a Drop to Drink on mine. It's technicolor gorgeous and all, but the little person on the top of the house stopped me. But, it perfectly matches the story! Also, color coded bookshelves sounds awesome. I think we are going to build a large bookshelf this summer and may have to try that! I totally adore The Winner's Curse! I can't wait to see the cover for the next book! Also, love the artist who designed the Mindy McGinnis books, she's fantastic! OH YES! I hadn't even though about the cover for BK 2! How are they going to top this one?!! HOW COULD YOU FORGET??!! It's gorgeous. It's my favourite. Blue Lily, Lily Blue *grabby hands*. It's absolutely gorgeous. I think the best one of the series! We had some similar choices, lol. 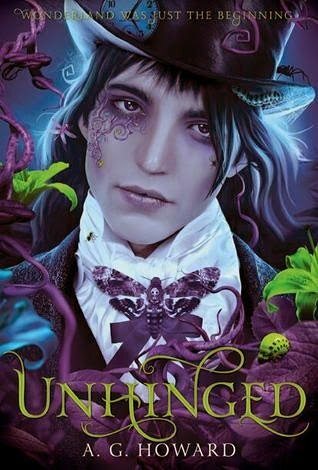 Between the Splintered series, I probably like the Unhinged cover more than Splintered because… Morpheus. Duh. In a Handful of Dust I think is prettier than Not a Drop to Drink but that's probably just me because I'm more partial to red colours. Great choices! I'm about to start Dream Thieves, but I soooo loved Raven Boys. I JUST LOVE ALL THINGS MAGGIE STIEFVATER. I chose not to participate this week because I CAN'T CHOOSE 10 COVERS, lol! 😛 I adore all of your choices!! I've never heard of The Minnow but THAT COVER. How can I possibly resist it?! Eeeep! I really liked your post, too! Oh, I DO like Ink….and the sequel, or is Ink the sequel? Either way, those books are gorgeous! They remind me of Chinese paintings. Oh, I DO like the More Than This cover! I just got that in the mail, like yesterday. Sooo delicious. x)Everything leads to Wonderland. So I guess it's kind of like Rome, really….but with Morpheus and no Pope. Splintered seems to be a favorite! (I'm surprised These Broken Stars isn't here) But your choices are fantastic! Because it deserves all the ultimate love, right?! 😉 I was GOING To put These Broken Stars up there but I ran out of room. Wow what an eclectic collection you've chosen that The Dolls one doesn't make me think of dolls but creepy crawly slithery things obviously. Nice list! It totally intrigues me though…but yeah, definitely snakes as opposed to dolls. Or possessed dolls? I'm sure the Winchesters can fix it. Really?! You don't like Peter Pan?! Nooooo!! He's my favourite classic of EVER (aside from Alice in Wonderland). I was really happy with Tiger Lily, except for when Peter grew up. *sobs* Crush my childhood dreams, why don't you. 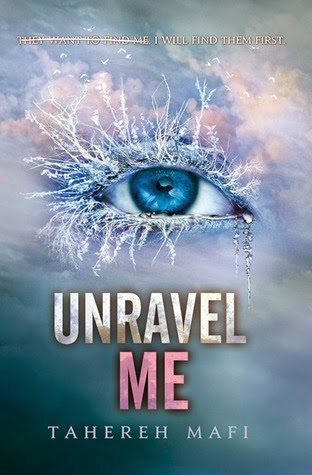 I didn't like Shatter Me either, but I loved Unravel and Ignite Me. Nope! I didn't like the book all that much when I read it and I just find him to be such an irritating character, in every adaptation I've seen except for the… 2003… live adaptation, because that is one of my favourite movies and it's just spectacular. Oh, also… I haven't read the Splintered series, wasn't sure and heard a few mixed reviews for it, so does this mean you'd recommend it, Cait? Oh gosh, I LOVE the 2003 Peter Pan movie. *heart melts* I was utterly obsessed with it when I was small(er). And heck yeah do I ABSOLUTELY TOTALLY 100% recommend the Splintered series. I AM VERY ENTHUSIASTIC ABOUT IT. CAN YOU TELL? Whaaat?! You are not a Morpheus fan I take it. 😉 But that's okay, I'll forgive you. Mime isn't a fan of either so far…hehe. I love Maggie Steivafaver's! She always has the best covers. The colors are amazing. I've only read one of her books though. . . or most of it, Shiver. I didn't really like it. . . I might try one of her other series. The covers are too tempting. 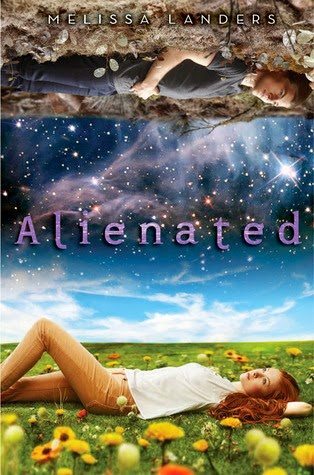 I really like Alienated too. That one looks so interesting and it has so many colors. I can't wait to read your review of it. Awesome list! I especially loved Alienated’s, Blue Lily Lily Blue, and Minnow’s. Gosh they are so pretty. They’re not overwhelming at all and the colors just jump right at you. As for me I especially love covers that show the universe or the stars, like These Broken Stars and the covers by Christian Schoon’s Zenn Scarlett series. Anything with the universe and the cosmos gets an A+ from me! Tiger Lilly is such a great cover. I haven’t read the book, but I am completely obsessed with the cover. Thanks for putting it on my radar. I concur…all of Maggie's covers are great, but TRC covers deserve wall space for sure. So many of these ALMOST made my list, including Tiger Lily and the Shatter Me series. Wouldn't our walls look ever so lovely with nothing but book covers on them? I super love The Minnow cover!